Genevieve loves to sing! 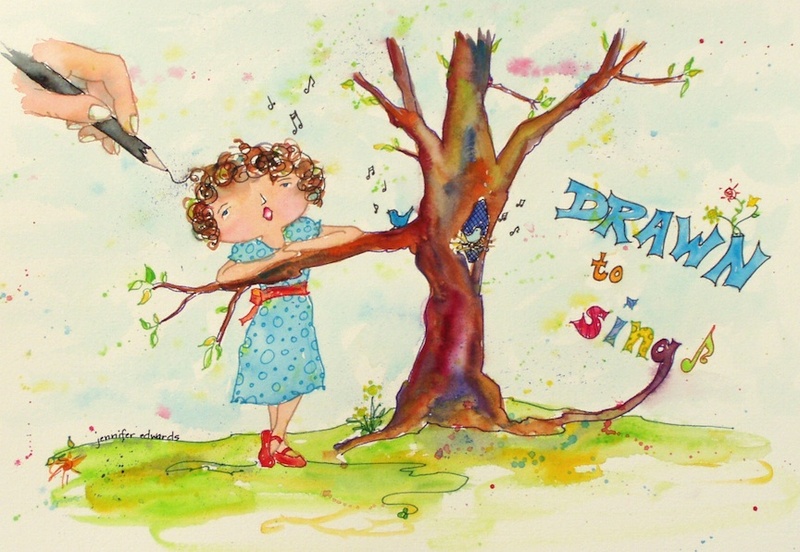 She hums wherever she goes, and leaps at an opportunity to sing with others. But she wouldn’t want to sing a solo. She has a decent voice, yet she’s no Kristin Chenoweth to be sure! That’s ok with her. We all need to do things we love even if we aren’t “good” at it. There’s a place for each of us to engage in doing the things we love to do…it doesn’t have to be on stage! It might be while you’re working, doing laundry, or even outside, when no one but the birds can hear you. Oh yes she can sing ’cause I’ve sung right next to her and we sounded good!!! I love the colors in your tree. I have to sing where no one can hear me or they will ask me to stop. Well, actually only my husband has actually asked me to stop. And years ago, my mother did ask all of us kids to hush while we were singing in the car. I KNOW I sound terrible but there is the urge to sing I think, within everyone. Thank goodness I can at least do artwork to express myself! I may not be a superstar there either but I know I am not bad like I am at singing either. Lovely painting, nice touch to have the artist’s pen in the picture. Also I couldn’t agree more with the message! Well, she must not be so bad…the birds aren’t flying away! I love your Genevieve, she makes me smile, and joy is a great gift! I love this fun piece. I sing while making breakfast. Starts my day off right…but I’m not sure about my dogs and husband!